I created this illustration as part of the 1001 Knights project, a collective art anthology organized by Annie Stoll and Kevin Jay Stanton that features 1001 drawings of knights from over 250 artists. The Kickstarter has totally blown up, and the energy around this project is incredible! It really makes me wish there were more anthologies like it for artists to participate in. 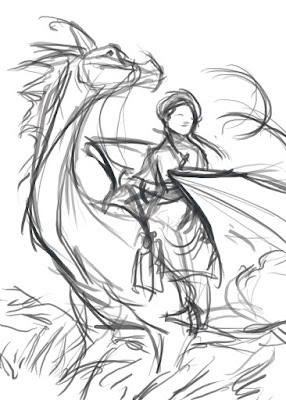 Usually in these blog posts I like to tell you about how I came up with the idea for a drawing. In this case, the story is extremely complicated. See, it goes like this: I needed to draw a knight and at the time I was listening to Dan Carlin's podcast series "Wrath of the Khans." 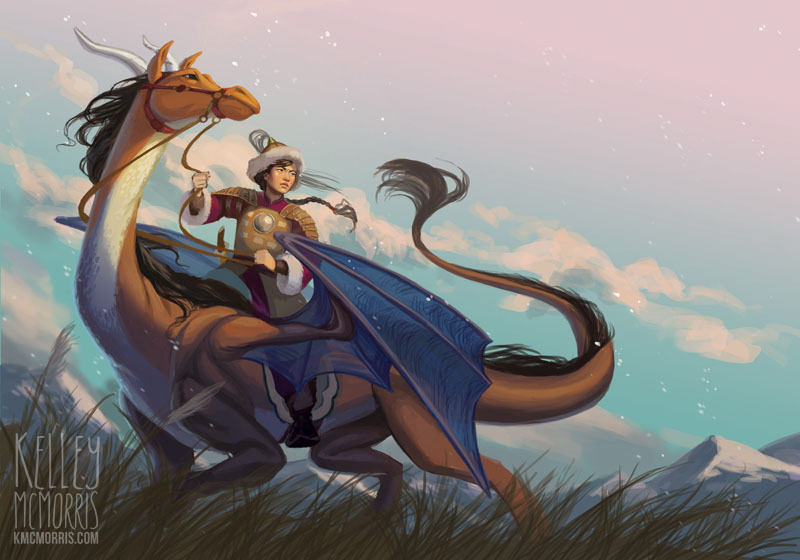 I started thinking: what if the Mongols had dragons? I know, I know. It's profound stuff. Clearly I'm not an artist who shies away from the really tough issues facing our society today. 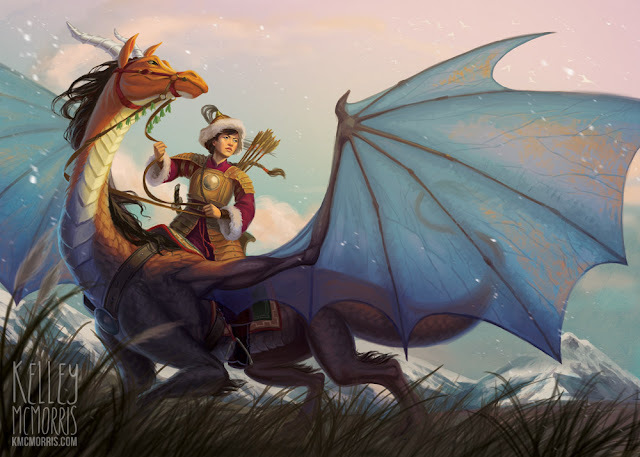 What if the Mongols had dragons? What's interesting about this illustration, to me, isn't the (clearly brilliant) thought process that originated it, but how a friend helped me improve it. Most importantly, it shows the value of getting an outside eye from a trusted source. So I was drawing the drawing, and I liked the drawing, but eventually I got the feeling that the dragon needed some space to breathe, so I changed it to a landscape format. I don't work in landscape formats very often, but this immediately felt less cramped. 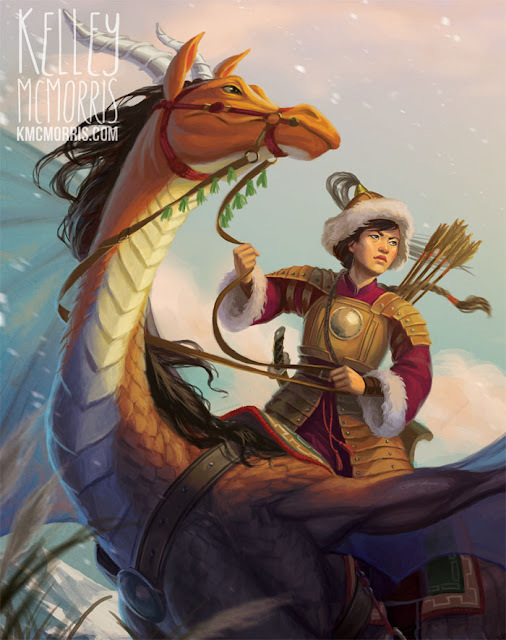 I showed it to my friend and fellow artist Young Kim, (who also has a piece in 1001 Knights), expecting him to be impressed with my very topical, very relevant Mongolian dragon scene. But instead he - as he always does - suggested a small fix that immediately made the image more epic. He sent me a paintover where the dragon had it's massive, translucent wings unfurled, and I immediately said "why didn't I think of that?" Two of the most valuable things I got from art school were 1.) understanding the value of listening to feedback and 2.) a network of talented peers to whom I can always go for said feedback. Whenever I need to make a drawing more epic, I know I can always go to Young, or to some other trusted friends, for help. This is incredibly valuable to me, and I can't imagine where I would be without that network. If you like this, you'll love the 1001 Knights book. You can back the Kickstarter here, or I will also be selling special artist-only editions after the books are printed. I also made this illustration into some greeting cards, which I will be listing in my Etsy shop soon (hopefully). Just beautiful! 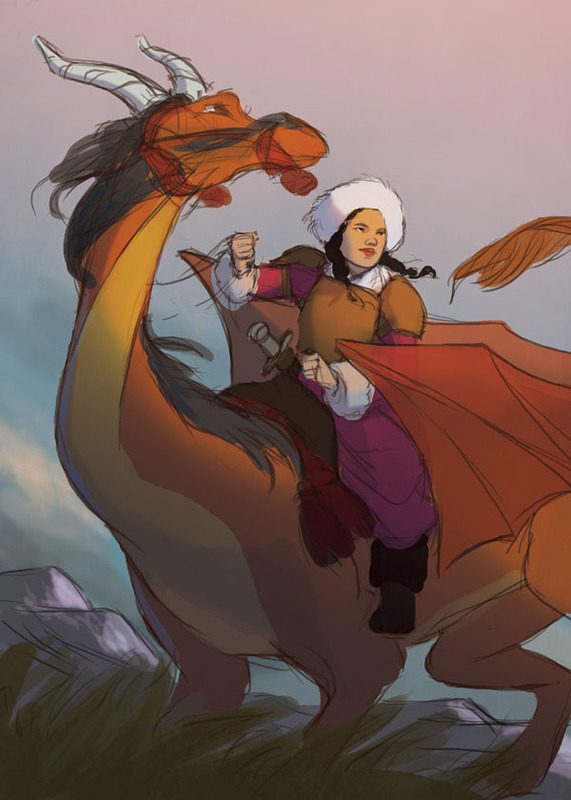 I'm loving these epic-heroine pieces. Gussie - Thanks for the kind words! Actually, since this piece is finished and I've already submitted it to the book, I consider it closed to constructive feedback. :) Thanks for asking, though.